Directed by Phil Lord, Christopher Miller. With Chris Pratt, Will Ferrell, Elizabeth Banks, Will Arnett. 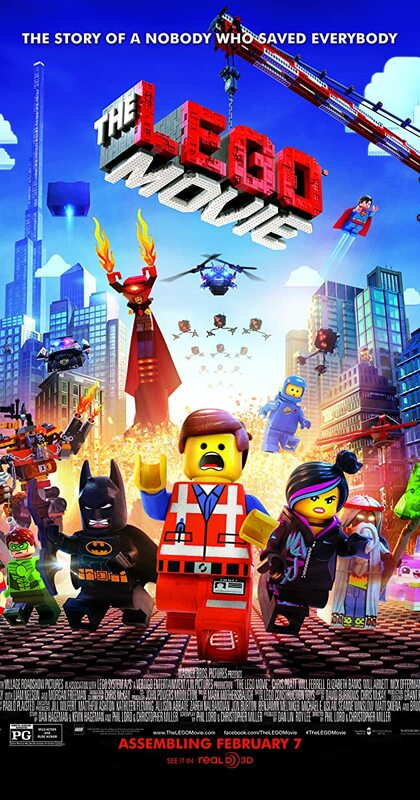 An ordinary LEGO construction worker, thought to be the prophesied as &quot;special&quot;, is recruited to join a quest to stop an evil tyrant from gluing the LEGO universe into eternal stasis.